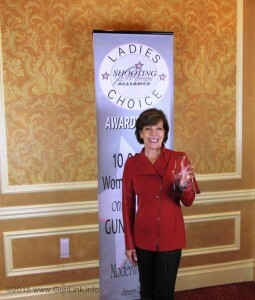 There are enough women becoming involved in the shooting sports that the NSSF felt it necessary to do an extensive study on the female shooting demographic and the NRA now has an entire section (including a TV channel) dedicated to women’s interest. Many manufacturers make specific models of rifles (like Savage and Weatherby), shotguns (such as Syren), and handguns (such as EAA) that have been designed specifically with a woman in mind. These companies did not simply take an existing model and then apply the “Shrink It and Pink It” (SI-PI) cosmetic makeover. There was actual thought put into these weapons to improve the shooting experience for women. 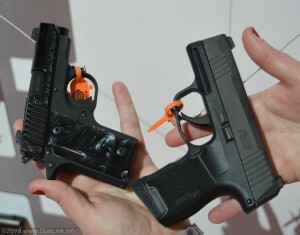 Firearm design is not the only part of the shooting world trying to play catch-up. There are now many concealed carry options that were designed specifically with a woman in mind, including more and more in off-body carry options. Several companies have even tackled the gear portion by designing hunting clothes, law enforcement uniforms, and backpacks, to name just a few, to fit the female body better. While many women may not be happy with the available options, many more choices are coming to market every year. Many companies are also open to suggestions for how to improve existing designs, but changes do not happen overnight. Industry is obviously catching up to the market demand for women’s products, but this does not address the more ethereal concepts that seem to be on the minds of my friends. How do we get women involved? 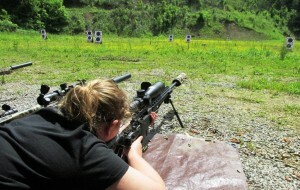 A study by the NSSF suggests that most women prefer to shoot on private or family land rather than at a public range. A reason for this preference was not given, but some of my friends have had bad experiences at a gun range when they went alone. One friend said she was approached by a man from another shooting table who offered unsolicited advice and told her she was shooting wrong. Another friend said a range officer kept harassing her (to the point she needed to talk to the range manager) while she was trying to practice. A third acquaintance (an army veteran who served in Iraq) said she was asked after paying her range fee if she knew what she was doing. With these experiences, it is easy to see why nearly half of women prefer to have a male friend or family member present when purchasing a firearm and prefer to shoot in private. Fortunately, these women were not new or insecure in their abilities, but what if they were new? Would this have encouraged them to stay in the sport, or abandon the activity? Carrie Lightfoot, the founder of The Well Armed Woman, suggested that the newer shooter do as much research as possible before going. “The more you know, the more confident you will be walking in,” Lightfoot said. Knowledge can definitely help any one feel more confident, which will result in a better experience, whether at the gun store or the range. Many of the websites listed above have information about specific products, legal matters, and training suggestions; the internet is full of “how-to” (and “how-not-to-do”) videos to let newer shooters become familiar with the terminology and function of the weapons on their own time. And, of course, online firearm discussion forums like the GunLink Forums are a great place to talk about guns and meet others involved with them. On top of all this, there are many products available to allow shooters to practice in the home safely and to familiarize themselves before heading to the range. We are taught at a very early age “safety in numbers”, it may help newer shooters to go with a trusted experienced shooter the first few times until she is comfortable with her surroundings. I personally know multiple people that truly enjoy taking new shooters to the range to teach and encourage them. Once you cross the line into “experienced”, don’t forget that you were once a new shooter too. Callie Wolverton of Girls with Guns reminds everyone to keep a mentor’s mentality, “Always keep your eyes open for an opportunity to help someone else learn or improve their skills….Be encouraging of everyone on their journey.” The easiest way to meet women like yourself is to teach your friends and family to shoot and share your love of the sport. While our numbers are growing and many companies are trying to keep up, women still need to be their own advocates. We need to use our purchasing power to buy products we like, and let manufacturers know what we like and do not like about products being marketed (or not) to women. Lightfoot, however, cautions companies, stores, and ranges that are not sincere in their interest in women shooters: women will know if the interest is fake and they will tell everyone they know about their experience.